In 2008, an estimated J$250 billion was swindled by Jamaican lottery scammers. 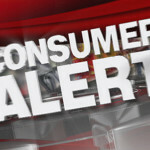 The United States Embassy in Kingston had speculated that these scammers had fled away before any such action could be taken. This lottery scam story was of huge proportions, so much so that high ranking officials in the American Embassy still remain baffled. There were special agents that were flowing into Jamaica to analyze this scam and also formulate a plan to overcome the lottery scams. This was a highly sensitive lottery scam story. The money was of staggering amount and made this scam a multi billion dollar one. The diplomatic relations of both countries were shook. 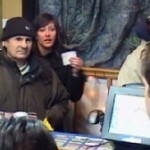 There were cables sent from Kingston to the Washington, DC head office on the January 6th of 2009 about this lottery scam story. The cable reads that about $ 30 million (in U.S dollars) was transferred by the victims to this Jamaican lottery deal. In fact, it was calculated to be much later on. 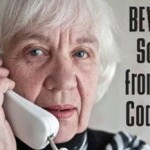 The special agents hired for this task force also stated that the Americans who had fallen for this Jamaican lottery scams had to team up with Jamaican authorities and start another operation called the Jamaica Operations Linked to Telemarketing task force to fight against the scammers. This force, also known as the JOLT task force, had a lot of young Jamaicans from west Jamaica. Isiah Parnell of the U.S Embassy’s charge d’affaires and of the U.S Immigration and Customs Enforcement also joined the JOLT task force in May of 2008. 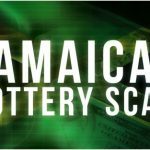 There was finally some ray of hope seen in this lottery scam story when the joint U.S and Jamaican team arrested 12 suspects and collected sufficient evidence against these suspects as well. The evidence included a list of the victims’ names and the vehicles that were stolen, including the one stolen from the U.S. The JOLT operation had structured and organized its plan very carefully. This lottery scam had been a big problem for various Jamaicans and Americans. This lottery scam story had originated in the Montego Bay that had lured unsuspecting lottery playing victims. The raid was a violent one when the JOLT team had entered the one of the suspect’s homes. The suspect had eaten his mobile phone SIM card out of desperation. In the end, this scam was resolved. Unfortunately, the lost money was not recovered and this lottery scam story ended bitter sweet.